When we think about popular and powerful brand in Smartphone segment, Samsung will be the answer for most of us. I'm not Promoting here but I'm the big fan of QUALITY rather than features. Other brands Like; xiaomi, huawei, oppo, vivo, etc. really great but as I've used many smartphones from these brands, durability is the serious problem. It will not last for 2 or more years. I'm not a Samsung Lover but this is the fact. I've used Samsung Phones over 4 or more years. just because of its build quality. where other brands just focus on performance, looks and features, Samsung take good care about its smartphone for its superior build quality with many features. 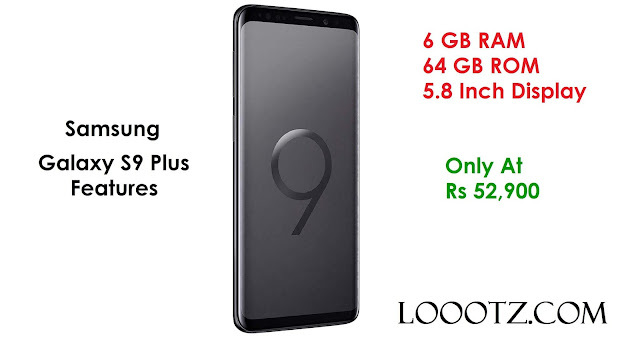 Amazon Offers Samsung Galaxy S9 Plus Only at Rs 52,900 worth Rs 70,000. It means 24% discount on this smartphone.